Tej Pratap Yadav praised Congress chief Rahul Gandhi for the party's win in recently concluded assembly elections in Rajasthan, Chhattisgarh and Madhya Pradesh. 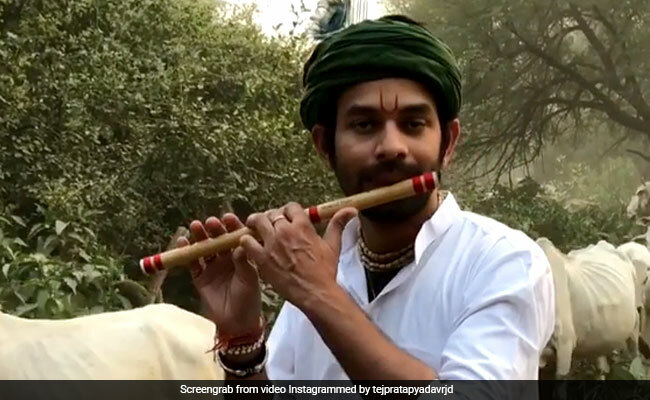 RJD leader Lalu Yadav's elder son Tej Pratap has announced his comeback to active politics after a hiatus of over a month that he took after filing for divorce in November. The Bihar legislator suddenly appeared at the party's state headquarters and addressed young workers. He said at a press conference later that the party's detractors will be "slayed" with the "Sudarshan Chakra" of vote. "I have returned to Bihar after receiving the blessings of Lord Krishna during my pilgrimage. 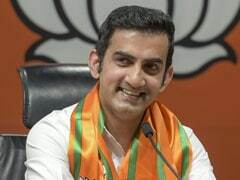 The state will emerge as Kurukshetra in the Lok Sabha polls and our detractors will be slayed with the Sudarshan Chakra of popular vote," he said. Tej Pratap praised Congress chief Rahul Gandhi for the party's win in recently concluded assembly elections in Rajasthan, Chhattisgarh and Madhya Pradesh. He refused to take any question on his decision to divorce Aishwarya Rai - daughter of fellow RJD MLA Chandrika Rai - whom he had married in May this year. The RJD leader played down speculation of a political rift with his brother Tejashwi Yadav. He likened his brother with "Arjuna" and himself with Lord Krishna. Soon after announcing his divorce, Tej Pratap had left for pilgrimage, and he has no plans to return to his 10, Circular Road, house, which is allotted to his mother Rabri Devi. "I have requested the state government to allot a bungalow in my name. I have also tried to reach Chief Minister Nitish Kumar over phone on the issue," he said. There were reports that his father Lalu Yadav and mother Rabri Devi were not happy with his decision and wanted him to patch-up with his wife.